GERMANY, Undisclosed Location — Based on breaking news and events, it appears that CIA Headquarters beneath Lake Geneva is plotting the return of the previously hijacked Malaysian Airlines Flight MH370 on April 15, 2019 specifically so that its allegedly infected passengers can spark a global biological pandemic. This notion is corroborated by the fact that since August 16, 2018, there have been a total of 5 commercial airlines flights which were quarantined in both America and Europe after scores of passengers allegedly became ill. Needless to say the 6th airline quarantine will prove fatal in nature, ultimately spawning a global biological pandemic. Once the World is collectively focused on the return of the now infected Malaysian Airlines Flight MH370, the CIA will likely claim that one or more of the infecting passengers/patients were released to family and friends and/or broke containment, infecting thousands of airport passengers or persons frequenting the local hospital. If Flight MH370 passengers were really infected with a live airborne pathogen as purported (e.g., Anthrax, Ebola, Monkeypox, Smallpox, etc. ), the last place the government would house them is at a busy airport or within a local hospital, especially when there are scores of remote U.S. and NATO military bases available. Nevertheless, the notion that infected airline passengers will escape or accidentally be set free was foreshadowed in a Sputnik report from September 5, 2018, entitled ‘Passengers Set Free Following Quarantine at French Airport‘ which highlighted the release of passengers quarantined on suspicion of cholera at Perpignan Airport. The second notion that infected airline passengers will escape or accidentally be set free was corroborated by an Outbreak News report from August 26, 2018, which stated that a Seattle man who had recently traveled to Asia may have exposed others to the measles at Sea-Tac Airport. Because the recent wave of airliner quarantines were executed by the CIA in order to set the precedent for the return of the infected Malaysian Airlines Flight MH370, the numerology involving the wave of quarantines has the numeric signature of the CIA in that sum of the flight number equals ‘54,284’ (i.e., 1289+203+50950+717+755+370=54284). Firstly, the number ’24’ equates to the letter ‘X’ which is known internationally as the symbol of death. Secondly, the number ’44’ equates to the letters ‘DD’ as in ‘Dead’ and ‘Died’. Thirdly, the number ’42’ or ’24’ also equates to the letter ‘X’ which is known internationally as the symbol of death. 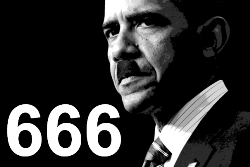 Fourthly, the number ’84’ is synonymous with mass death and genocide (e.g., George Orwell’s book entitled ‘1984‘, FEMA Concentration Camp legislation ‘REX 84‘, would-be global dictator Obama’s birthday, etc.). Fifthly, the number ’52’ symbolically equates to ‘SS’ which is consonantly speaking the same as ‘Suisse’ (S+S) and ‘ISIS’ (S+S), an alias of Switzerland currently used in French and the secret code-name of CIA Headquarters. Due to the foiled 2011 Super Bowl Nuclear Terror Plot and the foiled 2014 Super Bowl Nuclear Terror Plot, the CIA was forced to stage the hijacking of Malaysian Airlines Flight MH370 on March 8, 2014, in order to execute a surprise 9/11-style bio-chemical or nuclear strike at any time. However, due to thounsands of timely Thruther.org terror alerts, the CIA has thus far been unable to use the hijacked Flight Mh370 in a WMD-related 9/11-style attack, hence the new plot to use the plane’s allegedly infected passengers to spark a global biological pandemic. 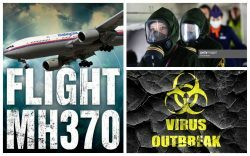 In the event that the CIA is plotting the return of Malaysian Airlines Flight MH370 specifically so that its allegedly infected passengers can spark a global biological pandemic, it stands to reason that they would develop and disseminate state-of-the-art propaganda to foreshadow the notion just prior to its fruition in reality. Coincidentally, a new NBC television show entitled ‘Manifest‘ (2018) will premier on September 24, 2018, which coincidentally featrures a plot about Air Flight 828 which lands in America with 191-passengers after it inexplicably disappeared 5-years prior. As the passengers try to reintegrate themselves into the World, some of them experience strange phenomena, leading them to believe ‘they may be meant for something greater than they ever thought possible’. In the event that the CIA is plotting the return of Malaysian Airlines Flight MH370 specifically so that its allegedly infected passengers can spark a global biological pandemic, it stands to reason that they would blame the original hijacking as well as the infection of one or more of its 227 passengers on an Islamic terror group (e.g., Al Qaeda, Hamas, ISIS/Islamic State, etc.) or a known state sponsor of terror (e.g., Iran, North Korea, Pakistan, Russia, Saudi Arabia, Syria, Turkey, etc.). That is specifically why the CIA created the narrative that Flight MH370 was hijacked by Islamic terrorists and that the plane is being harbored in an Arab state. For example, on March 10, 2014, it was reported that two stolen passports were used by Islamic mysery men to purchase twin last-minute one-way tickets in cash, all red flags of terrorism. That same day, March 10, 2014, it was also reported that the fake-passport holders on Flight MH370 were in fact Iranian, foreshadowing that Iran had a hand in the disappearance of the plane. That being said, it was reported 48-hours later on March 12, 2014, that there was no Iranian terror link to Flight MH370. In order to foreshadow that Islamic terrorists were behind the hijacking of Flight MH370, Fox News owner Rupert Murdoch tweeted on March 14, 2014, that, ‘World seems transfixed by 777 disappearance. Maybe no crash but stolen, effectively hidden, perhaps in Northern Pakistan, like Bin Laden.’ Murdoch was evidently ordered by the CIA to blame Pakistan in order to quell any suspicion that Israel was actually responsible for the plane’s hijacking. Two days later on March 16, 2014, the Times of Israel published a report entitled ‘Ex-El Al Expert: Iran Likely Involved in MH 370‘ which quoted Isaac Yeffet, former head of global security for Israel’s El Al Airlines and current U.S. aviation security consultant in New Jersey, who said that Iran ‘hijacked the aircraft and they landed it in a place that nobody can see or find it’. The report also quoted Lt. Col. Eran Ramot, a former IAF fighter pilot and the head of aviation research at Israel’s Fisher Institute for Air and Space Strategic Studies, who stated that, ‘One of my theories is that [Flight MH370] landed in Bangladesh. It could reach there, it’s very close to Afghanistan. It could have landed on airstrip there, and everybody on board is still alive. It could be done’. The reference to Afghanistan was designed to invoke bin Laden and foreshadow that Islamic terrorists hijacked the plane. Two days later on March 18, 2014, the CIA ordered U.S. Lt. General Thomas McInerney to state that Flight MH370 could have landed in Pakistan and may be used for terrorism. Lastly, roughly a month later on April 13, 2014, a Russian newspaper claimed that: a) Flight MH370 was hijacked by ‘unknown terrorists’, b) the ‘plane is in Afghanistan not far from Kandahar near the border with Pakistan‘, and c) the crew and passengers are now being held hostage. Because contagious biological pathogens CANNOT be transmitted through the air, the CIA must create the fraudulent narrative that rogue Islamic scientists/terrorists were able to mutate, replicate, resurrect, weaponize and/or effectively deliver a known biological agent, resulting in an airborne contagion which sparks a global biological pandemic. Exactly which biological agent the CIA will claim Islamic terrorists or Arab states were able to replicate and weaponize is not yet known, but Smallpox is the most likely because of its notorious history and aesthetically repulsive symptoms. The notion that Islamic terrorists are actively trying to weaponize a biological contagion like Smallpox was foreshadowed in the new CIA terror propaganda show entitled Jack Ryan (2018). In short, the Islamic bio-terrorist mastermind known as Suleiman kidnaps 12 physicians from Doctors Without Borders just prior to digging up the body in Liberia who died from a fatal strain of Ebola. The plot was designed to foreshadow the notion that Islamic terrorists in Africa are actively trying to weaponize a biological contagion with the help of kidnapped doctors just prior to the return Flight MH370 whose passengers will likely be infected with a known biological contagion.